An exclusive report by Steve Pond at The Wrap states Academy members who will be voting in this year’s Academy Awards are passing around among other members an article from the liberal publication New Republic that attacks the movie. While Pond doesn’t name the members denigrating the movie as liberal, it’s safe to assume as conservatives have been laughing off the New Republic article because they were well aware of who Chris Kyle was before the movie was released. Pond notes that the New Republic author was criticized for reviewing the film without actually seeing it. 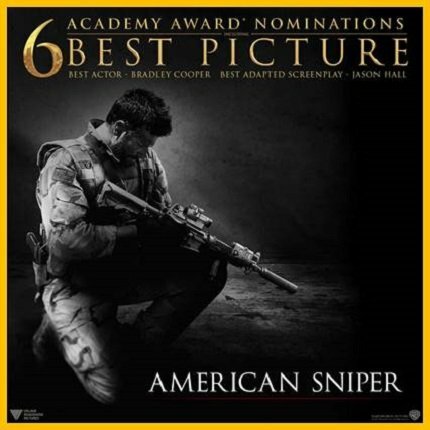 Pond closes his article with an observation by Grantland writer Mark Harris, who profiled American Sniper star Bradley Cooper in 2013, that the movie’s success with conservatives will doom the film’s Oscar chances. Academy member Michael Moore attacked American Sniper on Twitter this weekend. Moore later praised those who killed Americans who liberated Iraq from Saddam Hussein and fought to keep it free from Islamist terrorists as “brave”. Moore was voted off the Academy’s governing board for documentaries in 2013. The full article by The Wrap can be read here.